2015 is set to be the year of space naval combat. Earlier in the year we saw the release of Star Wars Armada, X-Wing’s slower more strategic big brother and last weekend saw more news about HALO: Fleet Battles at Salute 2015. 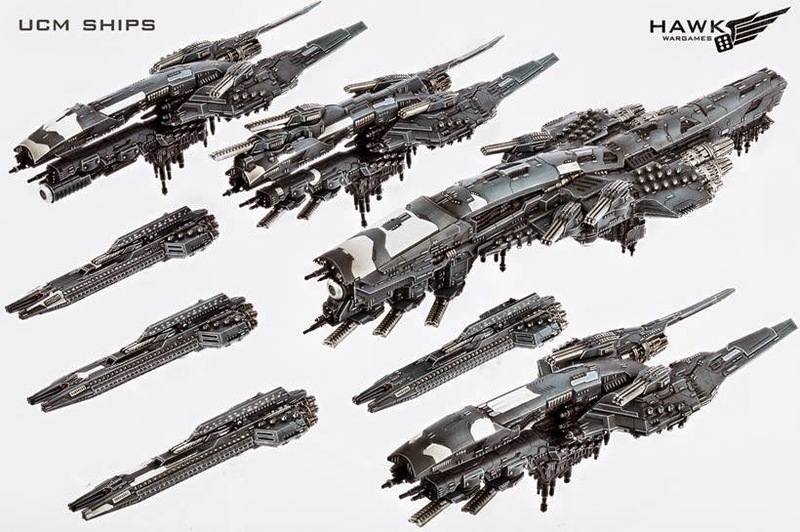 You may remember last year that Hawk Wargames announced a new fleet battle system set in the Dropzone Commander universe and designed by old Games Workshop favourite Andy Chambers. 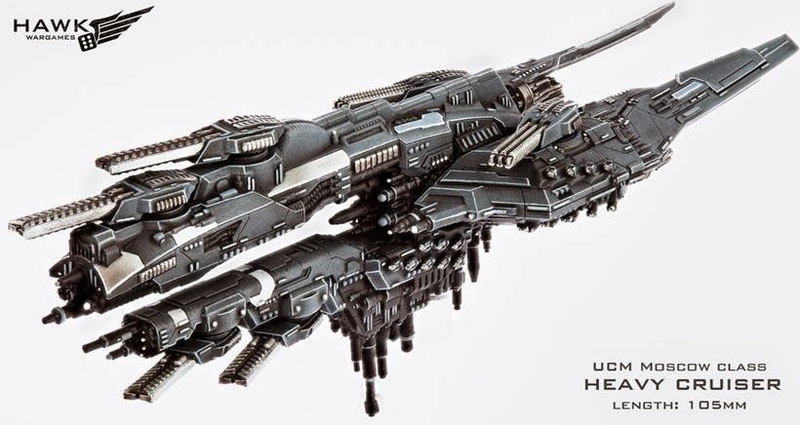 Well we’ve finally had some more news of the game, over a year since it was first announced and we’ve had some juicy images of the ships to play with. The game is provisionally called Dropfleet and will concentrate on dropping troops onto contested planets, rather than a ships-in-a-line naval battle. Dropfleet will be an Orbital Combat game in which the vast majority of your games will take place in orbit above a planet's surface. The game has been designed for this from the ground up by Andy Chambers and is an entirely new and unique ruleset. A typical gaming table is 4'x4' and will show the surface of a planet rather than the more typical 'starfield' style space combat table. The area covered will be around the size of a large European country/US State. Delivering your troops to targets on the surface will be crucial for victory and most missions will be tactical and objective focused. Space stations, static defences, ground troops, cities and other scenery play an integral part in the game. Three altitude layers (High Orbit, Low Orbit and Atmosphere) are present in games and have various effects. 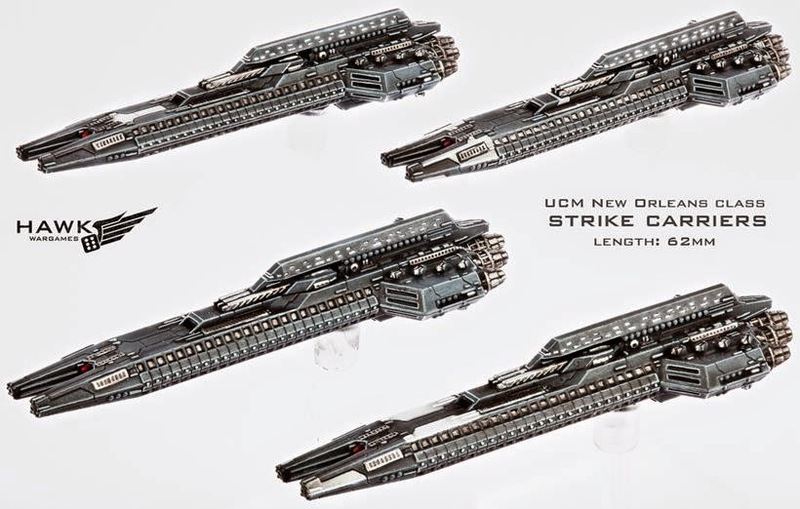 Only certain ships (such as Strike Carriers) can go atmospheric and each layer has advantages and disadvantages in different tactical situations. Weapons range is neither absolute nor fixed. It can change based on the power of your ship's scanners, the enemy ship's signature and the enemy's actions (firing several weapons greatly increases a ships signature for example). Stealth is frequently crucial! A framework for linking games of Dropfleet and Dropzone will be present in the rulebook, opening up many exciting possibilities for campaigns and narrative settings. It looks like it’s going to be a very different game than Armada or HALO, which is a good thing as I was worried the game would struggle to differentiate itself from the competition. 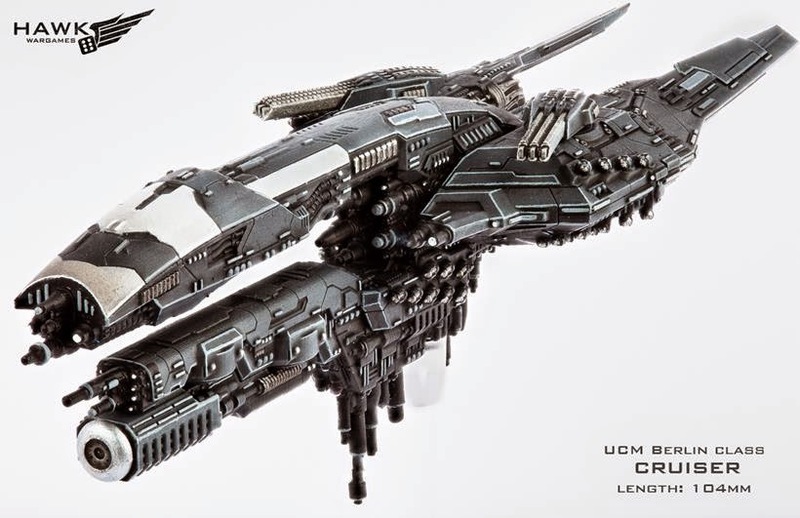 So are you planning on dropping into Dropfleet?